Optimising your website needn't be hard when you know the best practice for CTAs and landing pages. 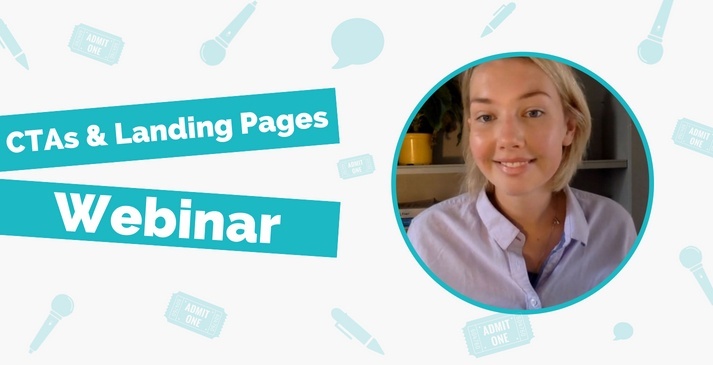 In this pre-recorded seminar, I'll show you some simple things you can do to make your CTAs (calls-to-action) and landing pages the best they can be. You'll find a transcript of the webinar just below this video. Enjoy! Hi, I'm Gertie. 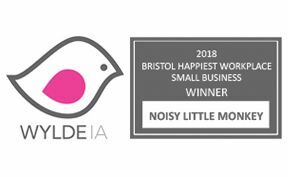 I'm part of the Noisy Little Monkey team and we're a digital marketing agency based in Bristol. 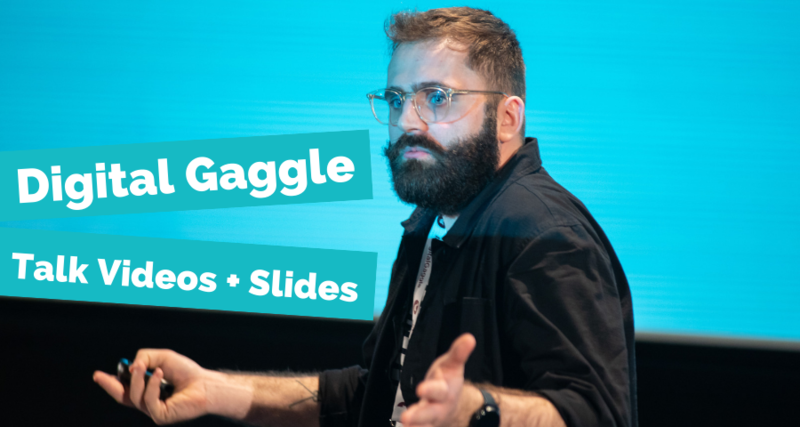 Today I'm going to be giving you some quick top tips on calls-to-action and landing pages which is why the title of this talk is: Let's Get Convert-sational, which is an awful pun. 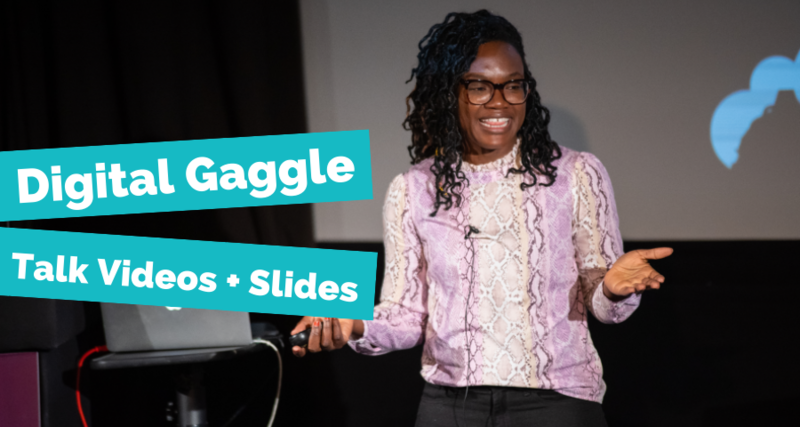 So if you have any questions or you want to simply comment on this talk, you can find me at these social channels: @GertieGoddard and Gertie Goddard Photography. So when it comes to the inbound methodology, it's important to remember this four-step funnel and it's all about converting visitors who are strangers, attracting them to your website and then once they're there, converting them into leads and then eventually closing them into customers. So within this funnel, I'm going to be focusing on these two blue circles here. So, CTAs and landing pages. There are three main steps you need to consider. Firstly, as soon as someone comes to your website, you need to tell them what to do. Secondly, once you've got them to click on something and they're on the landing page, reinforce why they're there. Thirdly, thank them for doing this and then nudge them somewhere else important. In order for all of these CTAs to work really well, you really need to understand the motivation your visitor has on clicking the CTA or the landing page or whatever. So really think about the perceived benefits minus the perceived costs to them which could be the time it takes to do the action or just to give you the information. S – keep it striking, so big and bold, don't let it fall into the background. So here are some examples, all of which convey action and urgency. Get them to do it then and there otherwise they won’t do it. Here are some examples of some good CTAs. On the right is just a simple banner CTA which I saw on someone's blog. I think it's really simple, specific and obvious what they want me to do. On the left are some from the Noisy Little Monkey website and again I think they – the design team – have made some really simple CTAs but they're also animated so when you hover over them it's really clear that it is a button you need to click on. Now one of the main things I see marketers do wrong is create CTAs and then just leave them there and not test them or not change them up and I think this is a massive conversion opportunity that you could be missing out on. So, for example, you can have forms on your website or you can have click-through forms or you can have a sidebar newsletter or a full page newsletter, or you can have a pop-up or you can have a passive pop-up. So, something like Tesla is a lot less invasive – hence the trend alert here – because they don’t want to shove anything in your face so really think about that. When you do instate a pop-up don’t make it so aggressive that it offputs the user. 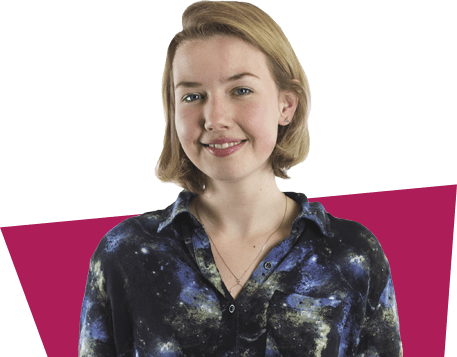 Scroll pop-up - which, when someone gets to about 70% of the page then they see the pop-up because then it's actually more relevant to them in their journey because they've actually shown intent on your page and they're actually interested in the content. Entry - is more recommended for things like big sales or a guide that you really want to push in someone's face because otherwise people don't normally like it, especially when you've only just arrived somewhere and you haven't even read what's on the page. Exit - can be really valuable when you use exit tracking software, so someone moving their mouse to leave the page and you can give them a little pop-up like 'Hey, don’t go! Wait'. It's important that you remember cookies because, you've got to track your users otherwise people just keep seeing your pop-ups and they can be really invasive. And always test. Whatever pop-up or CTA you decide to install, make sure you analyse the results. Here's one from Noisy Little Monkey where we tested a CTA '4 Quick Ways to Build SEO Into Your Website' with and without a face and, as you can see, without the face did better – which surprised us actually because we would’ve thought the opposite but I guess here it's important to remember the W of laws which is 'who's it for?' and people who are building SEO into their website might not be taking this picture very seriously at the bottom. So Step 2, landing page. Remind them why your offer or your deal or you are good for them. So here's a great example from Uber and I think what they've done really well on this page are these four things. Firstly, they've got rid of the navigation. Once someone's looking to sign up, get rid of all the distractions. Two, they've used a short and simple sentence to explain their main selling point. Three, they've taken a lovely, happy image. Four, they've only used the absolute necessities in the form, and that's something I see done wrong quite often which is people just adding extra information for no reason. And don’t forget to make it trustworthy so if you've got brand partnerships or data or a testimony, definitely put them on your landing page. And yes: test, test, test, test. Here's an example of a test we did whereby when someone landed on an eBook landing page, I wondered if, potentially, actually getting a preview of that eBook would help people convert and, just asking you quickly, which one do you think would convert more? The one on the left with just text or the one with sort of slideshow preview? Okay. Well these are the actual results and, as you can see, the plain text works better and this might be because of a few reasons. So, for example, the slideshow preview wasn't actually that mobile-friendly and, secondly, the actual content of the eBook is quite complicated here so it might have offput some people into downloading it, simply put. And always remember to check Google Analytics for landing pages. It's quite easy to get to: just go to Behavior, Site Content, then Landing Pages and spot those with a high bounce rate and see if you can pull that down, and also look at those with a low conversion rate but high volume of traffic because that could be a real opportunity for you. So just looking at the ones at the bottom here, you can see the Google+Redesign/Fun, high bounce rate and really low conversion rate despite it actually having quite a lot of sessions. So I would look into reviewing that page and doing some real testing on there to see if you can boost that. And lastly, say thank you and always remember your goal at the end. So here's a thank you page whereby Simply Measured have said to their audience, this is what's happening next, this is what to expect and now go here. But, do they really want them to go to the blog, do they want them to request a demo or do they want them to share it on social media. I think it's important that you think of one specific thing and really push that on the thank you page. Here are the key takeaways from my talk. I hope you've liked it and if you've got any extra feedback, please find me on these social channels: @GertieGoddard and Gertie Goddard Photography.